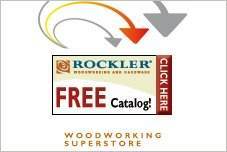 Free tool box plans are great to store your tools and woodworking accessories. There are simple, open boxes to tote tools, sturdy cases and a beautiful floor-model chest that would even look great as a dining room sideboard. 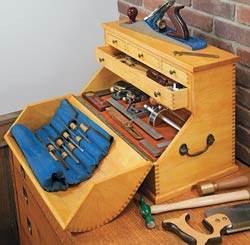 Your toolbox can be as rustic or as up-scale as your personality. 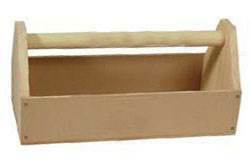 Choose a simple plywood crate or create a classic machinist's toolbox of hardwoods and brass fittings. 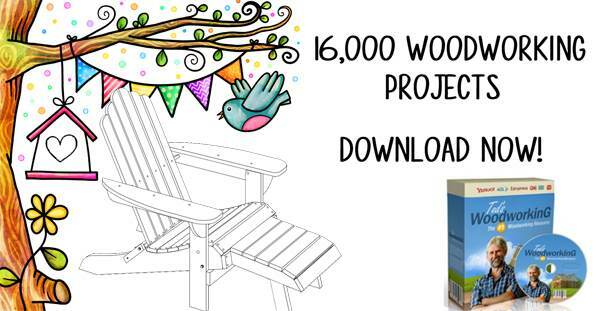 There is even a child-sized version for the littlest woodworker. There are a variety of shapes and sizes, some of which utilize plastic bins and dividers to make storage simple and cut down on weight. In addition, a shadow box toolbox is mounted on the wall in which to hang tools that frees up counter and floor space for a small workshop. Here are plans for a strong and sturdy carpenter's tool box. 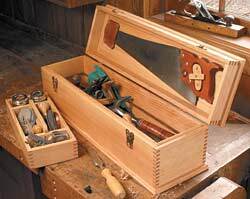 Build a tool box that has an easy grip handle and an open top for ease of adding or taking out tools. 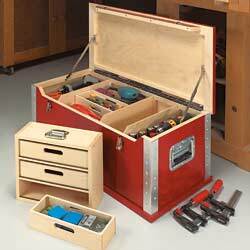 This toolbox plan gives you the freedom to create a tool box that best suits your needs. 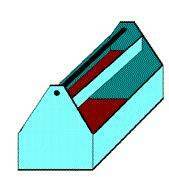 Plans for a toolbox designed specifically for a child and can be filled with little tyke tools. This toolbox makes a great gift too. 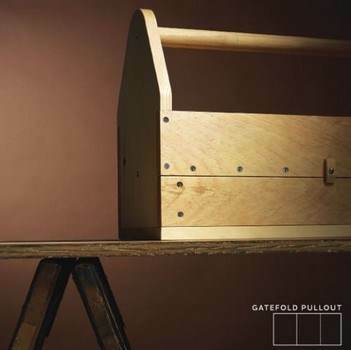 This tool box hangs on the wall and is designed for tools to be hung inside for easy access. 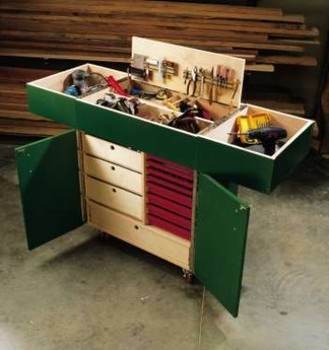 Build this workshop tool box that has 9 drawers for storing your hand tools and other miscellaneous items. This tool box has a place for pretty much everything you could need. Not only is this tool box great for carrying your tools in, it also doubles has a step stool. This high-tech tool chest includes materials, supplies and cutting diagrams only. No instructions. 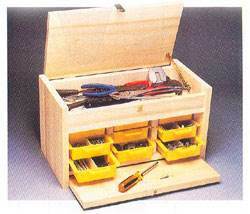 This curved-lid tool chest includes materials, supplies and cutting diagrams only. No instructions. 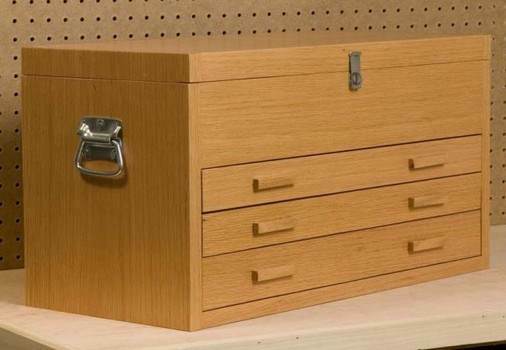 This nine drawer storage chest is designed to store items you use in your shop or craft room. Works great for keeping things organized and easy to find. 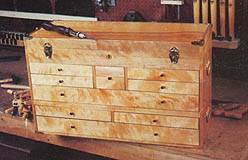 Plans for building a classic machinist tool chest equipped with three drawers and a top that opens. This cart has tons of storage both above and underneath. 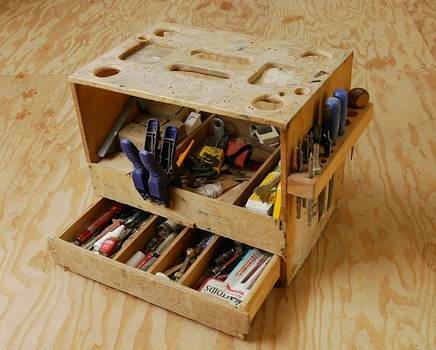 This German work box will keep your workshop clean and organized. 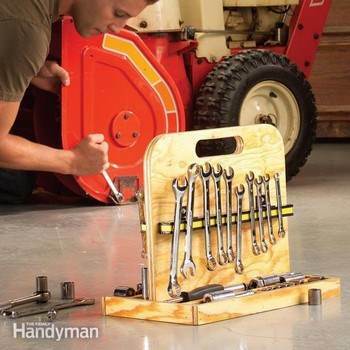 Build a wooden storage tote that is great for organizing sockets and wrenches. Using plywood this project takes very little time to complete.